Selling all of my equipment! Re: Selling all of my equipment! Hey Jimmy, you wouldn’t happen to have any 2.5 gallon kegs you’re looking to part with, would ya? 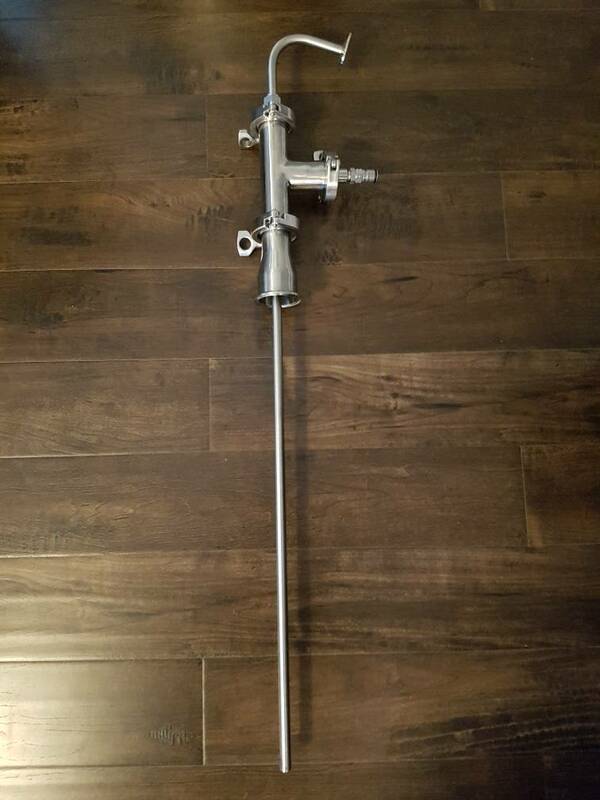 Any CO2 tanks and regs to go along with the kegs? On the off chance I'm looking for a nitro tank as well. Cheers! I'll take 2 kegs and the tank and reg. Come to think of it I would take the 3 remaining kegs and the tank and reg. PM sent. 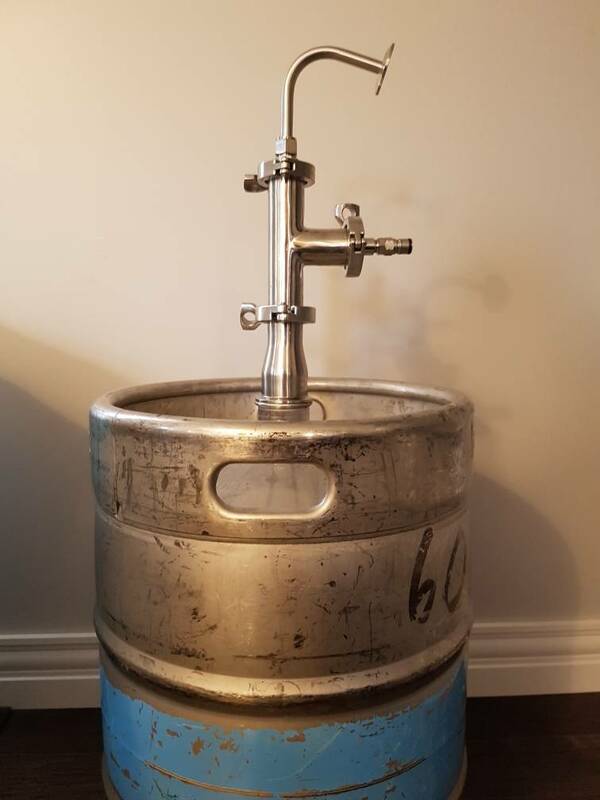 I'll take the keg washer. Does it have all the attachments for cleaning the lines and dip tubes? I’ll take the stir plate and flasks. Sorry, sold them to Beert this morning. If he doesn't Mitch gave me one the price is up to him. Sorry for jumping your post Jimmy. Sounds good. They are all yours. Yeah, I work in Burnside if that makes it easier. What does the underside of those look like? 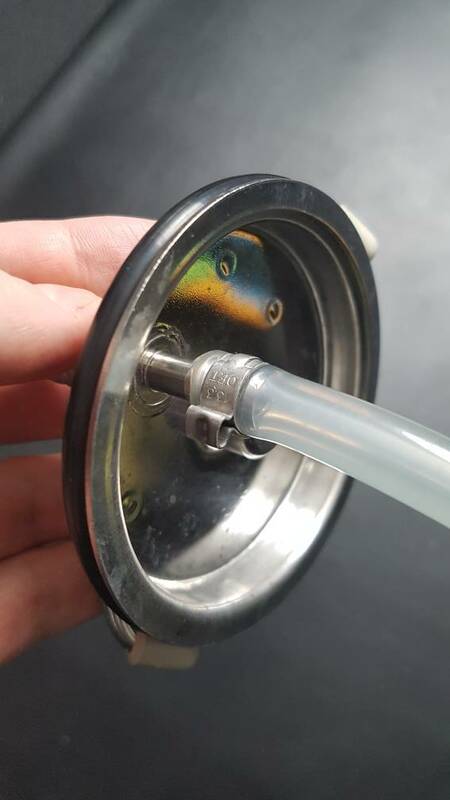 Possible to attach a thermowell somehow? They have a built in hose barb. 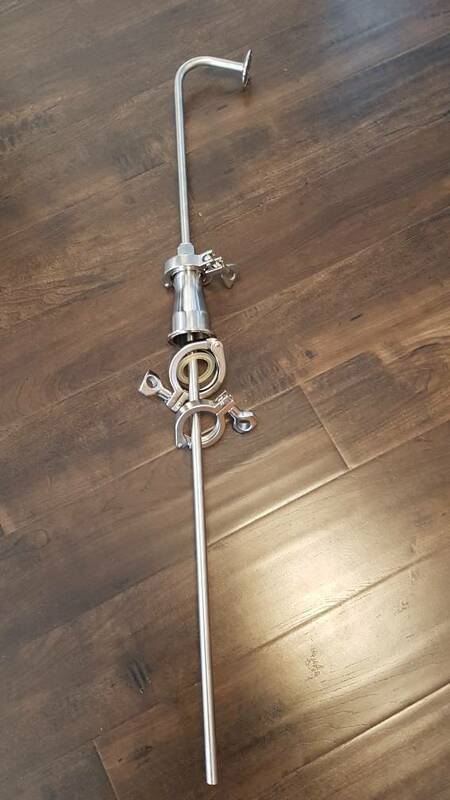 Option 1 - $120 ea - Qty 2 available: Includes 58 liter sanke, and the triclover pieces shown below (less the ball lock fitting attached to the "T", but includes the 2" triclover required to attach to the keg). All you'd need to add would be whatever fittings you want to attach (valves, ball lock fittings, etc). One of these has about 40 liters of 1.5 year old flanders red in it. It's yours to have...I haven't pulled a sample in months, so no idea how it tastes right now. Option 2 - $90 - Qty 1 available: Same as above, but does not include the 1.5" triclover "T", and the sanke keg is a 50 liter, rather than 58l. Damn, not likely to work I guess.